I am not quite sure how all the science behind tea works, but what I do know is that by this stage in my life I probably have more tea in my veins than blood. I just love the stuff. It is neither sweet nor savoury but this hot drink is what I reach for … well for almost any occasion. I drink tea throughout the day at it simply makes me feel better. It gives me a boost of energy (that would be the caffeine), but at the same time it relaxes me. I think it might be the sitting down and taking 10 to 15 minutes to drink the tea that helps. I also associate tea with friends. Nothing quite like a sitting on the sofa with a pot of tea and a plate of biscuits and doing what woman do best – setting the world right with a cup of tea and a chat. Maria was kind enough to send me some samples to try. The chocolate ones disappeared magically! It is simply wonderful and every so slightly indulgent. 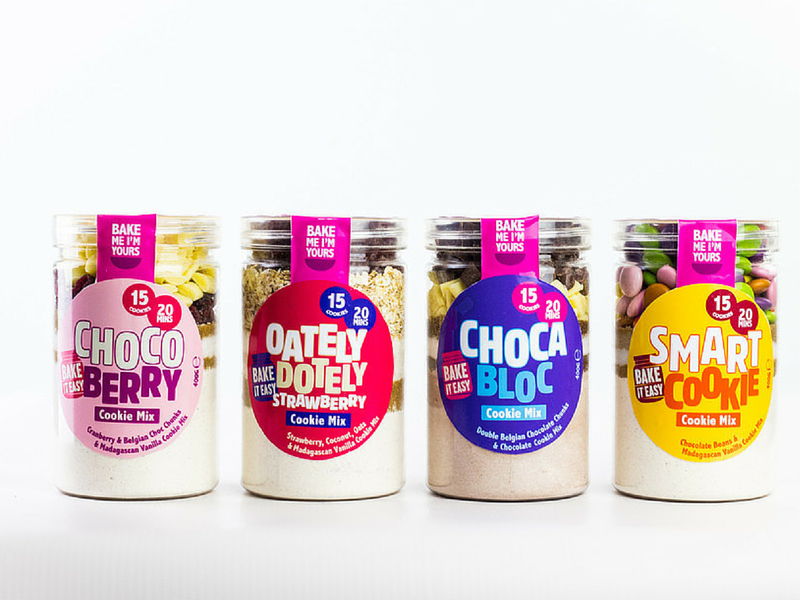 The jar of cookie mix can be ordered online and stashed in the grocery cupboard. Tip out the mixture, add an egg and butter and randomly spoon out onto a baking sheet. It is that easy. Tea is now just a little bit more fabulous, the only problem is limiting yourself to two, or three. They taste yummy with absolutely no artificial after taste. 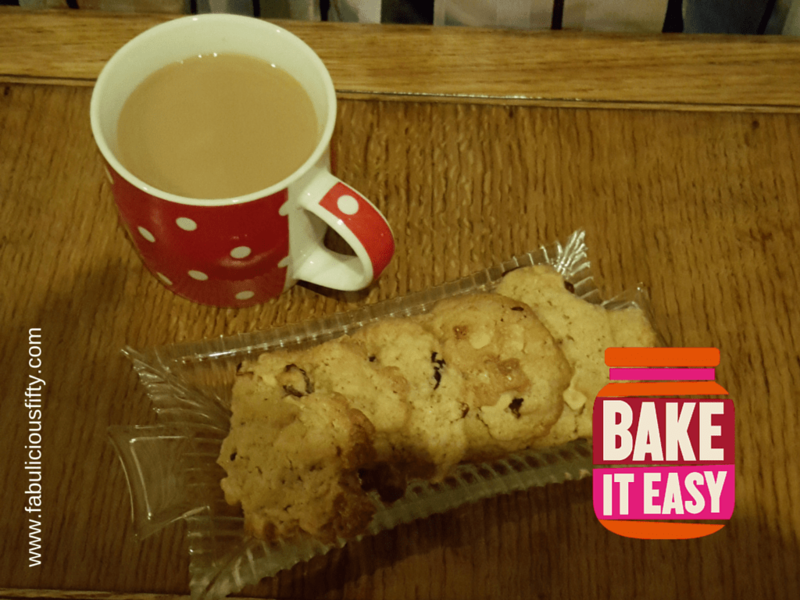 I think I might just pop the oven on – I have a Bake it Easy smartie cookie mix in the cupboard and could quite happily down another cup of tea.